Blooming cherry trees are the classic early spring-garden feature in cooler climates that have long winters. Cherry trees need anywhere from 700-1000 chilling hours to set fruit. Chilling hours are the number of hours the tree is exposed to temperatures between 32-50F during winter months. However, there are a few varieties that will grow well in warmer climates. Be sure to check the chilling hour requirements for your area. Cherry trees will tolerate many soil textures, but do best in a neutral to acidic soil. Most cherry trees, even those considered “self-pollinating” will need two to three additional cherry trees nearby with which to cross pollinate in order to have good fruit set. If you only have room for one cherry tree, then check out ‘Stella’, a true self-pollinator that needs no partner. ‘Stella’ grows to 18-feet tall and wide, producing heart shaped, sweet, red fruit. 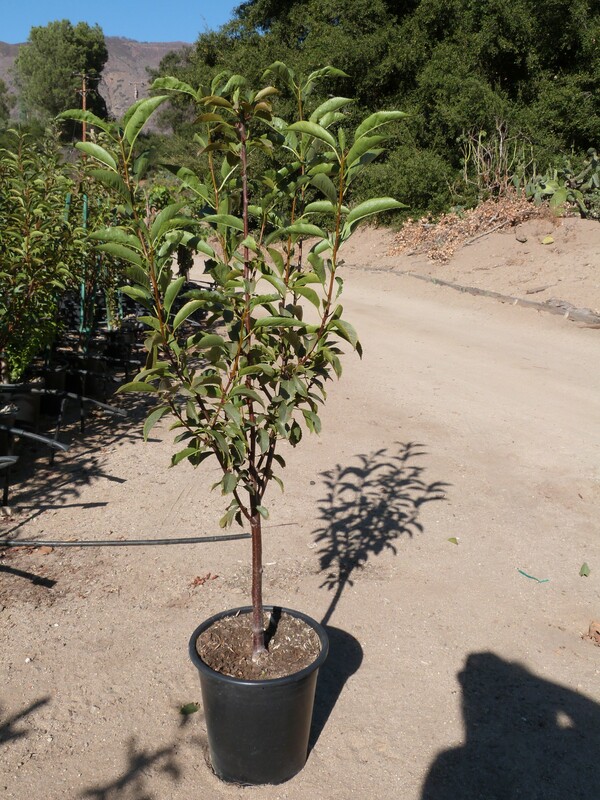 ‘Bing’ cherry trees are heavy producers and grow to 25-feet tall and 15-feet wide. Pair ‘Bing’ with ‘Montmorency’ or ‘Black Tartarian’ for good fruit set. ‘Montmorency’ has tart fruit perfect for jams and baking. ‘Black Tartarian’ has very sweet, cherry-red to purplish-black fruit. Both varieties grow to 18-feet tall and wide. Sour cherry ‘English Morello’ is noted as the “standard for pies”. ‘Kansas Sweet’ cherry is actually quite tart, and does require a cross-pollinator. It stays a compact eight-feet tall. ‘Lapins’, similar to a ‘Bing, has very sweet fruit and grows to 20-feet tall. ‘Utah Giant’, despite its name, is a semi-dwarf variety that grows to only 12-feet. It has sweet fruit that holds its color during canning. ‘Van’ offers sweet fruit similar to ‘Bing’. Note that cherry trees are susceptible to pests and diseases such as aphids, Japanese beetles, brown rot, black knot and bacterial canker.